Pat Chagnon sent this classic Troopers photos. 1983: Behind the scenes the corps circles up in the late afternoon sun following the DCI World Championship Prelims in Miami, Fla. 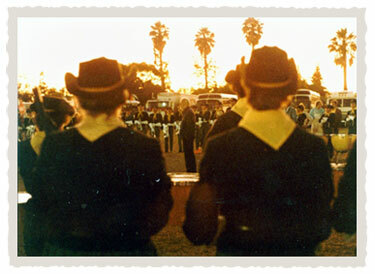 In the center of the circle is corps founder and DCI Hall of Fame member Jim Jones.